It is predicted that by 2024, mobile technology and the Internet of Things (IoT) will have transformed medical provision and healthcare management, all over the globe, beyond recognition. Imagine a shirt that detects variations in blood sugar levels, contact lenses that can monitor changes in the retina or a toilet that can record hydration levels or vitamin intakes in the user. As Sci-Fi as this sounds, all these could be part of every day life in 10 years time. Medical care provider Bupa have said that all kinds of ‘connected’ apps from those in household appliances to ones in furniture will all be supporting our daily health in ten years time. The mHealth app of tomorrow will monitor health and alert the user to any danger and may also incentivise healthy life style choices by offering rewards through ‘gamification.’ It is thought this would be done in much the same way as games like Foursquare, or Angry Birds unlock badges as rewards. Such an approach and the use of IoT technology and mobile health apps in this way is predicted to have a major role to play in preventing disease and dramatically reducing the onset of ever increasing complaints like diabetes. Some of the innovations that Bupa have suggested that might become part of our everyday life include ‘smart nappies’ that allow parents to monitor a range of things from hydration to kidney infection in babies. Moving away from the device accessed mHealth app, the fabric of clothes may become a monitor of pulse and heart rate while sensors in shoes will monitor periods of inactivity and prompt the wearer to exercise. One of the first forays into the world of tomorrow is perhaps the recently developed smart contact lens that can detect glucose levels in patients with diabetes through monitoring their tears. And in 2016 human trials of a miniature artificial pancreas will began. There is no doubt that the advent of IoT technologies and connected mHealth apps are the spring board to a future where we will be able to monitor our health on a minute to minute basis and only visit the doctor when the apps monitoring our health tell us that we need to. If you’ve got a healthcare IoT project to discuss, get in touch. I just thought I’d share my thoughts on the UK eHealth Week event that I attended last week. There seemed to be a good turn-out at the event and I got the opportunity to listen to some excellent speakers. They shared their views on digital health and how the NHS’ ‘Global Digital Exemplars’ (GDEs) are using new technology to create a positive digital experience for patients and improve healthcare outcomes. mHealth is the step forward that gives the patient a better opportunity to access healthcare at their fingertips. It gives the ability to monitor, educate and facilitate management of medical conditions from home and through devices that we are all familiar with using. Going to see an actual doctor is often inconvenient and is something that an employee might not want to have to explain or to ask for time off for. Far better that patients take responsibility for some of the management of a medical condition themselves with a back-up of medical care. So here are ten things that your boss needs to know about mHealth and why it is unquestionably the way ahead. mHealth, while commonly used as an interactive app, in its broadest application, can attach to a pocket, to a wrist, to clothing, to underwear or directly onto the skin to monitor health. mHealth can offer a future where there is individual self-determination providing a positive impact on the user’s individual health and the health of the public at large. mHealth can offer a future that will motivate employers, policymakers, and other professionals to create guidelines and situations that both support and promote healthy behaviour. mHealth will allow for a freer flow of information, within and outside any health care system. mHealth will contribute to a future that encourages health care providers to put real value on patients and on their data. mHealth will create a future that builds respect and trust between patients and their health care providers as well as competence in technology-supported self-and shared management of all aspects of health care. mHealth will make use of social media for greater and more effective communication. mHealth will allow for the combination of supporting health and delivering health care information for individuals and for the wider community. That information will be accessed from diverse sources, and can also include non-clinical information. mHealth will promote technology that can map and show trends in health status, and will highlight any deviations from the norm for any given person in any given scenario. mHealth will promote user friendly technologies that assimilate health activities and treatment into the rest of a patient’s life. Finally in February 10, 2014, the Apple iStore contained almost 30,000 health & fitness apps, and over 23,000 medical apps. Many are free, some cost a few pence and others cost a substantial amount. They perform many different functions, but there is one thing all mHealth apps have in common: they all collect information about us and impart vital information to us as users and to medical professionals as they assess health and monitor treatment. There is no doubt that mHealth solutions are already part of the future for our health and well-being but there are still many organisations involved int he healthcare sector that have yet to develop an effective mHealth strategy to help them capitalise on the opportunities that this exciting area of digital can offer . 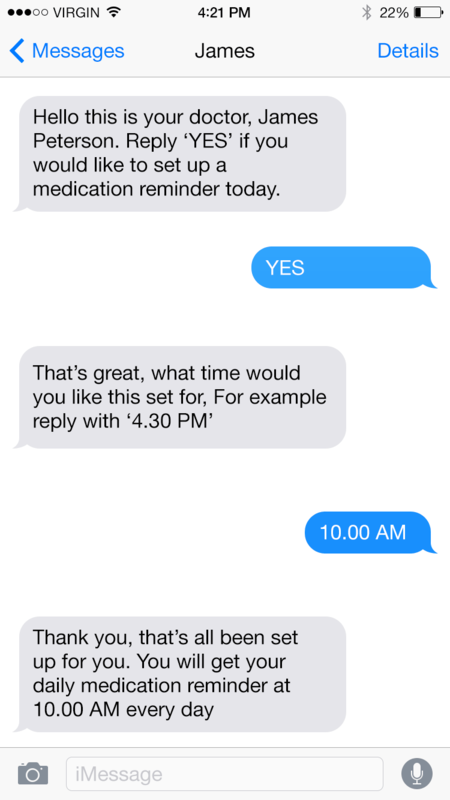 What do we mean when we use the term mHealth and what is a ‘mHealth app’? mHealth (also written as m-health) is an abbreviation for mobile health, a term used for the practice of medicine and public health supported by mobile devices. The term is most commonly used in reference to using mobile communication devices, such as mobile phones, tablet computers and PDAs, for health services and information, but also to affect emotional states. The mHealth field has emerged as a sub-segment of eHealth, the use of information and communication technology (ICT), such as computers, mobile phones, communications satellite, patient monitors, etc., for health services and information. mHealth applications include the use of mobile devices in collecting community and clinical health data, delivery of healthcare information to practitioners, researchers, and patients, real-time monitoring of patient vital signs, and direct provision of care (via mobile telemedicine). Mobile health (mHealth) covers “medical and public health practice supported by mobile devices, such as mobile phones, patient monitoring devices, personal digital assistants (PDAs) and other devise. It also includes applications (apps) such as lifestyle and wellbeing apps that may connect to medical devices or sensors (e.g. bracelets or watches) as well as personal guidance systems, health information and medication reminders provided by SMS and telemedicine provided wirelessly. Apart from our own resources collating mHealth statistics and case studies, there are some great blogs and websites that cover the topics of mHealth. We launched an app that carries the CE Mark and conforms to the EU Medical Device Directive 2007/47 EC for Rosemont Pharmaceuticals who are now registered as a Class 1 device manufacturer. The MHRA have recently released guidance on what constitutes a medical device for apps but this guidance was unavailable when we took this client through the process and this is what we learned. I can’t remember the number of times I read this document picking out key details that were relevant to the development of standalone software. Although there was nothing directly relating to apps there are clear references to how software combined with, or independent of a device should be classified and therefore the level of compliance that needs to be achieved. The MHRA recently released their guidance on medical device stand-alone software (including apps)7 and it helps to clarify which types of apps should be classified as medical devices. It still requires developers to understand the implications of the EU Medical Device Directive but helps to identify through the use of words and phrases which apps could be classed as medical devices. A rule of thumb for understanding if your app needs to be compliant is if the results produced by using the app could potentially harm a patient e.g. a dosage calculator then it should undergo the necessary compliance procedures to ensure it complies with the EU Medical Device Directive. Part of this process is to thoroughly test the app across different devices, platforms, audiences and specific functionality built in to it to demonstrate that it works as it should, producing expected results. This will form part of the risk analysis necessary for completing the document of conformity. Once this process has been completed the application can be made to the MHRA which requires an accompanying payment of £70.00 (as of the date of writing this 15/04/2014). The application should take between 14 and 21 day to process at which point the company will receive their registration number and only after that point can the app carry the ‘CE’ mark to prove that it has full regulatory backing and will demonstrate that the app reaches all the necessary standards laid out by the EU. To ensure you get submissions approved quickly, it’s really important to submit the app to iTunes Connect under the correct developer account ensuring all your meta data is completed as fully as possible and providing any references that you feel reviewers will benefit from seeing. Tripping the ‘reject’ status can lead to weeks of delays and once that’s happened it appears that Apple will scrutinise each further submission with a fine tooth comb. Google Play is far simpler by comparison and will take far less time to submit and approve before publishing. Russell Hughes, Operations Director at Genetic Digital will be chairing a roundtable discussion about how to develop and successfully launch a health and medical app at Healthcare Apps Europe 2014. Mobile Website vs App – do you really need an app or could a responsive website that works across multiple devices be a more suitable digital solution? Getting the right mHealth strategy in place is a crucial first step. Platform & Device – which platforms such as iOS, Android, Microsoft and Blackberry do you build for and what devices such as smartphones and tablets do you design for? Solution Design – what type of app do you need? Do you build a hybrid, web or native app? Integration – will the app need to integrate with any internal or external software systems or databases such as a patients information system or web API? Compliance – will the app need to comply with the latest MHRA guidelines on compliance and be registered as a medical device? Testing – how will you test the app and what steps will you need to put in place to ensure that testing is carried out in a comprehensive manner by the right people? Marketing – how will you make your target audience aware of your app, will the app need to be supported by a marketing campaign and specific app promotion tactics like app store optimisation (ASO)? Tracking – how will you track usage and downloads of your app and measure what impact it has had in helping you to achieve your business and marketing objectives? The rountable session will give you the chance to discuss key topics and challenges in smaller, interactive groups. You will be able to share your own experiences and hear from others; benchmark; exchange ideas and get clear answers to specific questions. So, in order to make the most of these interactive sessions, you should come armed to share experiences and have questions at the ready! Visit Healthcare Apps Europe 2014 for more details about the conference and roundtable discussions. On the 8th April Jeremy Howell from BBC News visited the Genetic Digital office to interview Operations Director – Russell Hughes about the EU Green Paper on mobile health (mHealth) that was being published on Thursday, 10th April. In the interview Jeremy asked for Russell’s views on healthcare and medical app compliance and how mHealth is reshaping the way healthcare is being delivered.